After such a good experience trying PHB Ethical Beauty’s Skin Brighten Gel for the first time, I couldn’t wait to check out more of their product range. I ended up finding everything you need in your bathroom, from your head to your toes. Shampoo, soap, body wash, body lotion… the works. PHB Ethical Beauty is a British family business that makes natural, vegan, and Halal products — all of them cruelty-free. They’ve taken care to use packaging made from recycled sources (which can be recycled again) so their eco-friendly credentials are pretty damn good too. I love the tea tree and lime scent — the tea tree cuts through the fresh lime to give it more of an edge and I’m here for it. The shampoo is free from irritating SLS, while the conditioner is silicone-free and lists argan oil as one of the top ingredients. I wouldn’t say the shampoo made my hair greasy, but I tend to leave less time between washes when I use it. This is interesting, since it’s normally moisturising shampoos that have this effect on my hair, not the volumising kind. Speaking of, this shampoo certainly gives my roots a lift and I only wish the effect would last longer. The conditioner moisturises my ends and doesn’t weigh them down, which is all I ask for, but it doesn’t quite beat my regular brand. Basically, this duo is nice (and a good size for travelling) but I wouldn’t rush out to buy it. Confession: I’ve never really used bar soap before. The usual soap you find on your local high street and inside your local supermarket has always dried my skin out horribly, so I’ve avoided it. Hell, even liquid soap can make the skin on my hands flake. But this soap is different. I’ve been using it to wash my hands at home every day for the past month or so and what a change. My hands are soft and there’s not a trace of soreness, despite the cold weather. 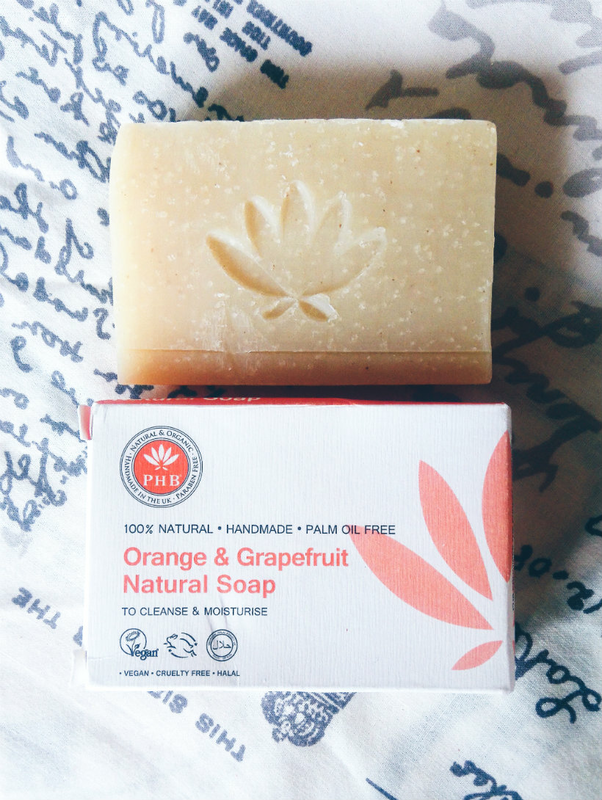 There’s no SLS in the ingredients but the soap foams up nicely and you get a hint of the subtle orange and grapefruit scent every time you use it, which brightens up my mood. I’m never buying liquid soap again. I even ventured into Debenhams’ homeware section and bought a soap dish — now that’s commitment. The body is lovely and frothy, cleansing my skin as gently as possible. 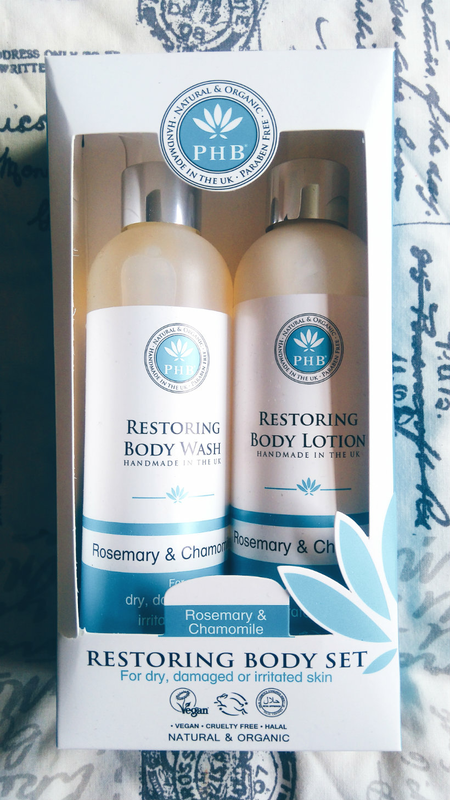 The body lotion, meanwhile, is one of the best I’ve ever tried (and I’ve used tonnes of them over the years). It has a light, non-sticky texture and my skin always feels soft, smooth, and a little more alive after use. I’m buying this as soon as my current bottle runs out, no question. 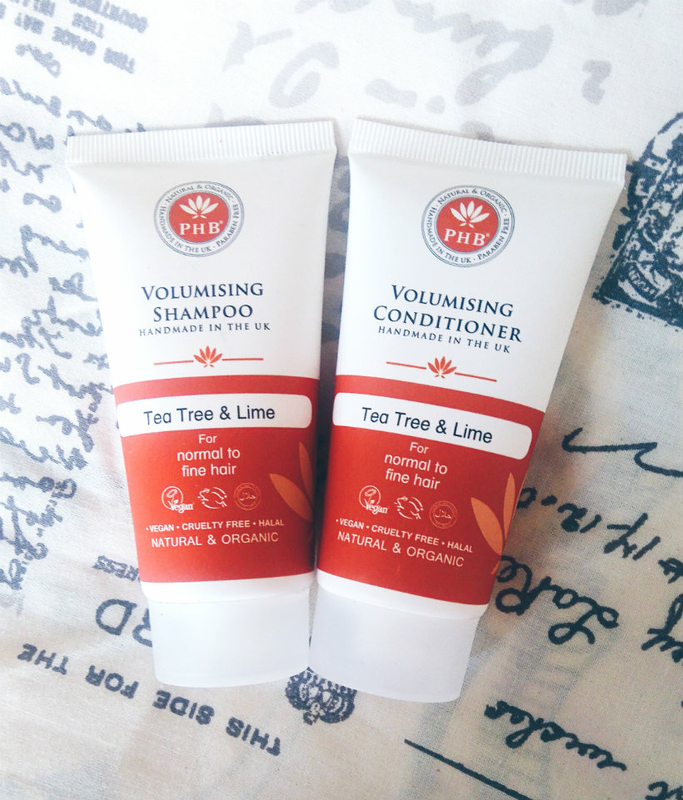 Have you tried anything from PHB Ethical Beauty before? Does anything in this post catch your eye? Let me know in the comments!